PCM 384KHz 24bit over SPDIF/Optical/AES. Up to PCM384 and DSD 64/128 over WiFi. Direct push with iOS and Android. Ultra-Low jitter PLL clock (<50PS). 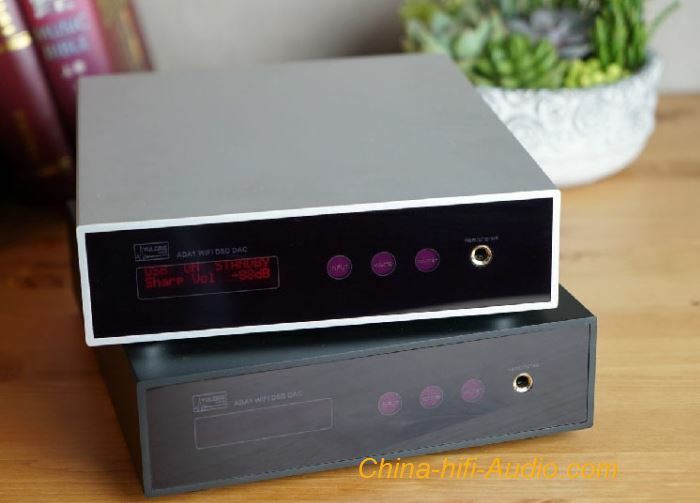 Dual AK4490 analogue sounding DAC. Digital attenuator in 80 steps. High impedance JFET input, DC-coupled, fully discrete class-A headphone amplifier. Balanced output with 20Ohm and attenuator can drive active speakers and balanced headphones. WiFi and headphone module can be shut off for a pure DAC mode. Touch screen, auto-save, auto-dim and intuitive controls.